The New Orleans Pelicans will travel to Houston to take on the Rockets on Tuesday night. The Pelicans are in 13th place in the West with a 22-28 record and have lost 3 straight. The Rockets are in 5th in the West with a 29-20 record and have won 3 straight. New Orleans is coming off a 126-114 loss to the San Antonio Spurs their last time out. Jrue Holiday led the team in scoring with 29 points on 9 of 20 shooting. Jahlil Okafor had a monster game in this one and is seeing increased minutes with Anthony Davis sidelined. Okafor scored 24 points on 10 of 12 shooting and led the team on the glass with 15 rebounds. Frank Jackson and Darius Miller both scored double digits off the bench with 15 and 11 points, respectively. Elfrid Payton led the Pels in assists with 5. Houston is coming off a solid 103-98 comeback win over the Magic on Sunday. The Rockets trailed by 8 heading into the 4th but outscored Orlando 29-16 to take the win. James Harden was once again the man in this one, as he dropped 40 points on 14 of 27 shooting. Harden is on an absolute tear and scored 30+ points for the 23rd straight game in this one. Harden also grabbed 11 boards to lead the team and had 6 assists which tied for the team lead. Eric Gordon chipped in 16 points and 5 rebounds. Kenneth Faried had a double-double with 12 points and 10 boards. Chris Paul scored 12 points to go along with 5 rebounds and 6 assists in his first game back since being injured on December 20th. 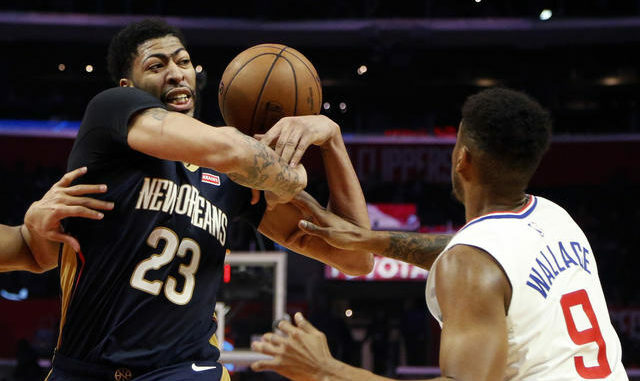 Anthony Davis is the key piece for this Pelicans team, but he remains sidelined for this one with a finger injury. Davis scores 29.3 a game and grabs 13.3 rebounds a game which are both team highs. Jrue Holiday has taken the reigns on offense in Davis’ absence and is averaging 21.2 points a game. He also dishes out 8.1 assists a game to lead the team. Julius Randle scores 19.9 points and grabs 9.3 rebounds a game. Nikola Mirotic adds 16.7 and 8.3 a game, but he is out for this game as well. New Orleans has been good offensively this year, scoring 116.6 a game but has allowed opponents to score 115.1 each contest. The Pelicans are 7-20 on the road this season. The Rockets are led by reigning MVP James Harden, who has taken the league by storm in January. On the season, Harden is averaging 36.3 points per game which is an NBA high. He also leads the team in assists with 8.2 a game. Clint Capela, who is out for about 4 more weeks with a thumb injury, averaged 17.6 points and led the team with 12.6 RPG before going down. Eric Gordon adds 16.3 points per game. Chris Paul will play his second game since returning from a 17-game absence and is averaging 15.4 points and 7.9 assists. The Rockets are also solid offensively, scoring 112.2 points per game but are allowing opponents to score 110.7 each game. Houston is 19-7 at home this year. Houston comes in at -10. The Rockets have been treading water recently due to injury and have been riding the back of James Harden but got a big boost with the return of Chris Paul. New Orleans is in deep trouble without Anthony Davis and has not looked good without him so far. The Davis injury is too much for the Pelicans to overcome and the Rockets will take this one in a blowout. Take Houston -10.